There's a sense of dread that hits me at the end of my annual holiday in Goa. After days of glorious beach bumming, the thought of the 11-hour drive back to Mumbai is never a pretty one, especially dealing with that terribly trafficked final 250km from Satara to home. This year was different. After a wonderful and stress-free drive to Goa, I was actually looking forward to the drive back home! Here's what makes living with the Elantra such a happy affair. For starters, the Elantra is supremely comfortable, in almost every sense of the word. 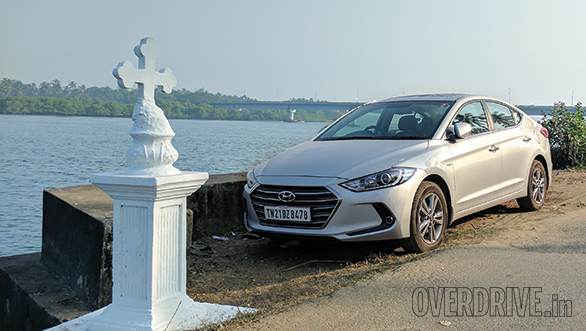 Ride quality is superlative; the Elantra effortlessly absorbs bumps and potholes that many other cars, both cheaper and more expensive, simply crash through. The automatic gearbox isn't the fastest out there, but it certainly makes driving much less of a hassle in heavy traffic. The seating position is highly adjustable and the cooled seats are an added spoil. 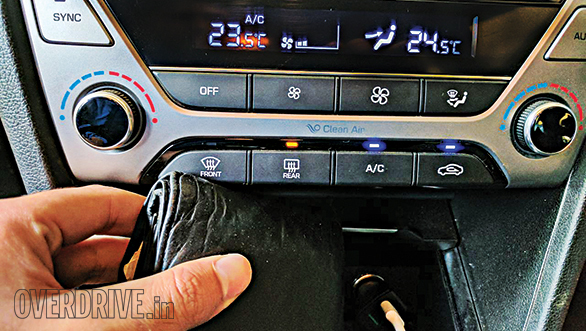 Sound deadening is also excellent, and both road and engine noise are well filtered out. Finally, the engine. A lot of you have complained that the 1.6-litre diesel engine isn't enough, but after a month living with the car I'm convinced it is. High-speed cruising is effortless - 150kmph comes up easy and getting the speedo to kiss 200kmph isn't impossible given the space. Best of all, despite brisk highway driving on my holiday, the Elantra returned 14.1kmpl! The only times I occasionally wish for more power are during high-speed overtakes and spirited driving in the hills. In that sense, I have absolutely loved my time with the Elantra so far. Still, there are a few things that bug me. The biggest irritant is the fact that the central locking system sounds the horn and there's no easy way to turn it off. One honk when the system locks and two to unlock. This gets very embarrassing when you're quietly trying to escape your housing society on an early morning, something I do a lot given the frequency of our shoots. The solution, I'm given to understand involves pulling a fuse from within the engine bay. However, I'm not sure what the implications are on the warranty, so I'm saving that for a visit to the dealership. My other complaints involve the infotainment system. 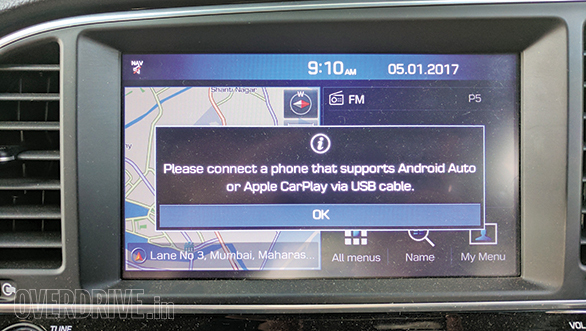 Connecting a phone via Bluetooth cannot be done unless the car is at a standstill. The system claims safety but what if I have a passenger to do the job? Secondly, the voice control system will not work unless the phone is connected via Android Auto or Apple CarPlay. Many other cars allow voice control via a simple Bluetooth connection. The Elantra is due for service soon at which time the front grille will also need replacement. The car had an unfortunate disagreement with a garbage truck taking an illegal U-turn ahead of it. The truck won and the Elantra picked up some light cosmetic damage. We'll share the full costs in the next report.